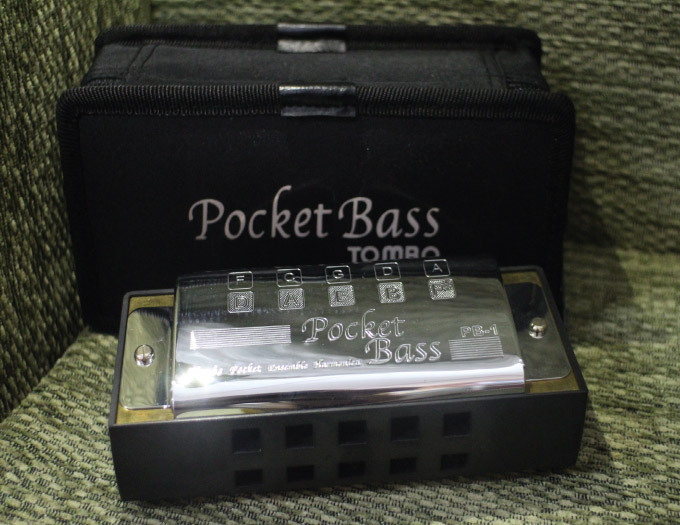 Bass Harmonica is an instrument to play the bass part, following basic notes of chords on the score. So far bass harmonicas have been bulky in size and with many holes, so, it's hard to play even simple numbers. Look at the alignment of Pocket Bass. It arrange basic notes of key 3 chords in C-major on upper level side-by-side and those in A-minor on lower level as you see Pocket Chord. This is the secret for enjoying ensemble easily. Various numbers in different keys can be transposed to C-Major or A-minor. Great for the beginners to play ensemble.